Ten lawyers, five of whom have allegedly downloaded the i-message app named Bylock were taken into custody in Ankara. After 7-day police custody, three (lawyers SD, FÇ, MC) of ten lawyers were arrested and others were released with probation rule. 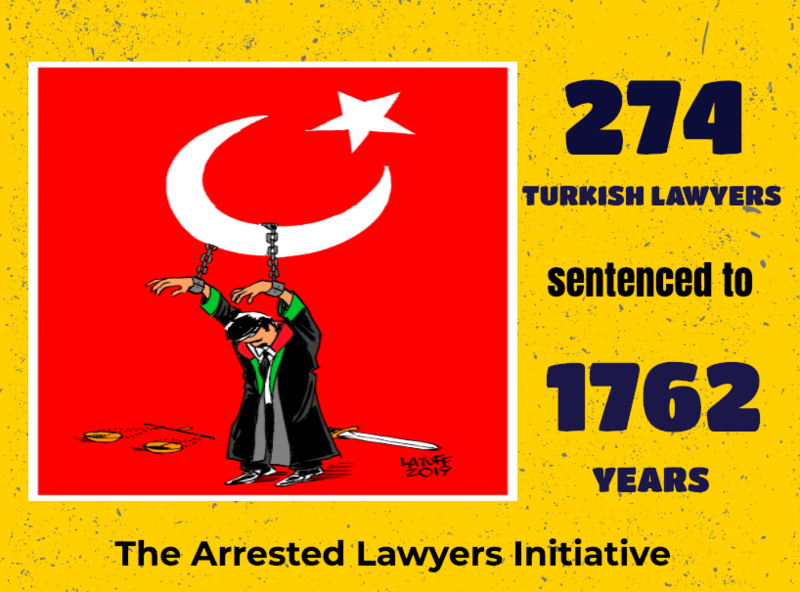 Since 15 July 2016, 136 lawyers in Ankara were taken into custody and 49 of whom were arrested. A lawyer who allegedly downloaded the i-message app named Bylock, was taken into custody in the province of Balikesir. Since 15 July 2016, 18 lawyers in Balikesir have been under criminal prosecution with 7 of whom arrested. The US-based think tank Freedom House, which has listed Turkey in his newly released report among the countries in which Internet freedoms are restricted most, stated that tens of thousands of Turkish citizens have been arbitrarily detained for their alleged use of the encrypted communications app ByLock. “Despite a lack of evidence, and the arbitrary nature of the blanket arrests, numerous users have been deemed guilty by association for simply downloading the app.” said the report. Lawyer Ersin Cosman who is the member of Sivas Bar Association was sentenced to six years three months imprisonment with the charge of the member of an armed terrorist organisation by the 2nd circuit of Sivas High Penal Court. Thus, number of the member of Sivas Bar Association who was sentenced to heavy penalties for sham terrorism charges raised to ten. Previously, (25 September), nine members of Sivas Bar Association were sentenced to ranging from 3 to 9 years by the 2nd circuit of Sivas High Penal Court. Lawyer Hakim Peker who was released on October 2017 after 8-month pre-trial detention and lawyer Gurkan Istekli who was released 29th November after 14-day police custody, were again taken into custody on November 14, 2017. Lawyer Gunfer Karadeniz who represents the torture victims has herself subjected judicial harassment by criminal investigation. On 2 October 2017, seven Kurdish people were taken into custody by naked search and display and were arrested after 10-day custody with terrorism charges. Lawyer Gunfer Karadeniz who filed a criminal complaint for “torture, ill-treatment and other human rights violation” that the suspects were subjected, has herself become target of a criminal investigation launched by Mugla Chief Prosecutorial Office. As of 12 December 2016, 55,665 people have been jailed and 234,419 passports have been revoked within the scope of investigations that were launched after the failed coup attempt on July 15, 2016.